I Am Immortal remained unbeaten after winning a Blue Diamond Prelude for colts and geldings. I Am Immortal will take an unbeaten record into the Blue Diamond Stakes after winning a prelude for colts and geldings at Caulfield. But the two-year-old will also contest the $1.5 million race with reservations about his ability to run out a strong 1200m. Sent out the $2.50 favourite, I Am Immortal made it two straight wins when he held on to score a long neck win from debutant Shotmaker ($8.50) with Hawker Hurricane ($11) a neck away third on Saturday. Jockey Ben Melham said I Am Immortal started over-racing mid-race when taken on by fifth-placed Aussie. “How he sustains the pressure over the 1200 metres in the Diamond is a little issue, but Anthony is a very good trainer,” Melham said. 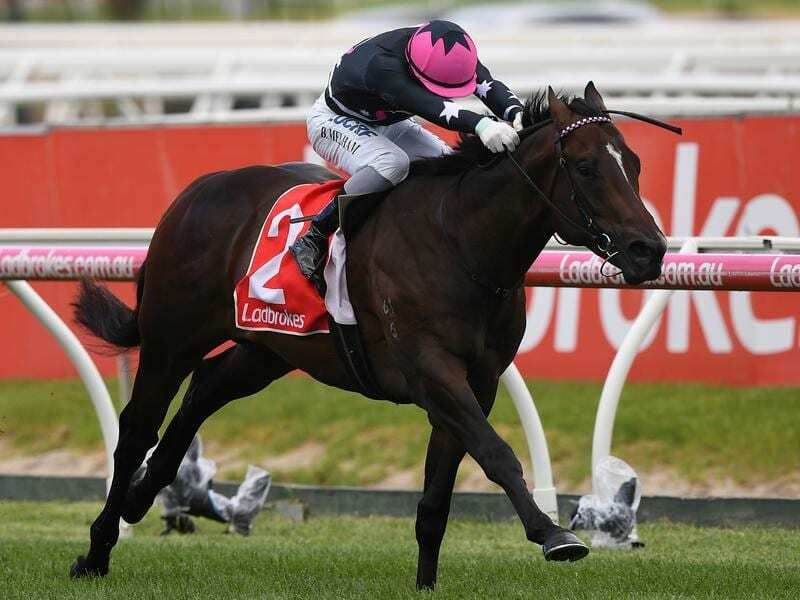 Freedman’s assistant, Sam Freedman, said I Am Immortal had taken a lot of improvement out his debut win and expects further improvement from the two-year-old ahead of the Blue Diamond at Caulfield on February 23. “This run might take the edge off him again and he might race that little bit more relaxed over the 1200 metres,” Freedman said. “He had a good blow last start and we haven’t hammered him to get here today.